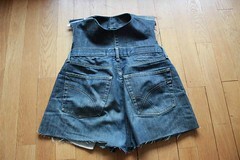 The second jeans is passed through the scissors and emerged in a cool sleeveless top. 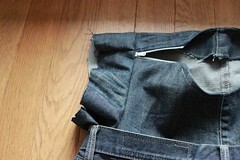 I like to up-cycle jeans, those of high quality and resistant denim. 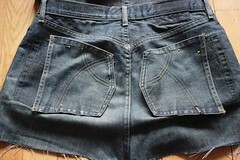 When you see all the seams and stitches, you can easily imagine the work behind. 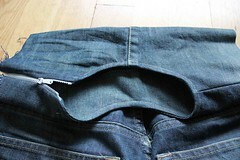 Of course, there are machines and mass production, but labour involved in producing jeans remains consequent. This is why I find it very sad to put them on trash once they are out of fashion. 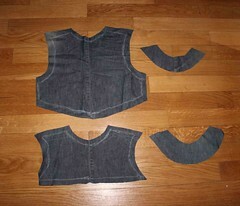 For the second sewing makeover, I used men jeans, large enough to make a bodice. 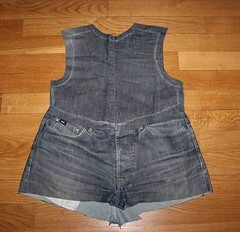 I cut them short and used the legs to complete the top and make the neckline facings. 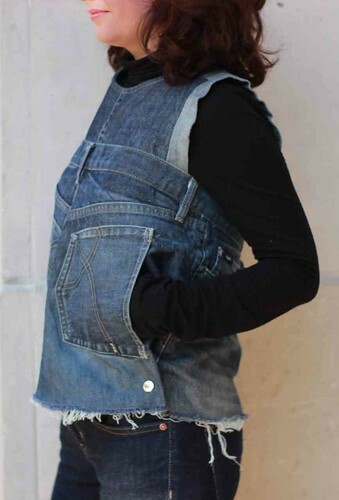 I added a zipper on one shoulder and created strips for finishing sleeves. 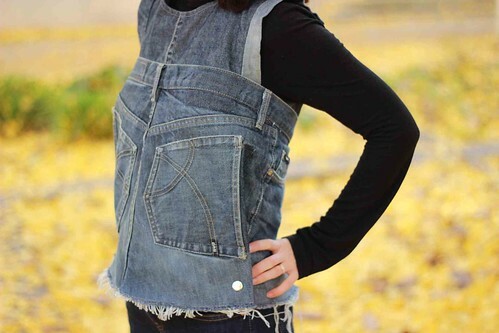 I also changed the pockets orientation to slip my hands in and have a cool attitude. 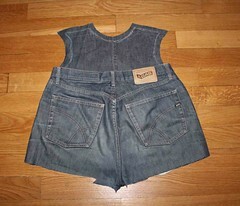 Because a jeans back is large enough to contain the owner’s behind, this bodice tends to be very loose towards the waist. 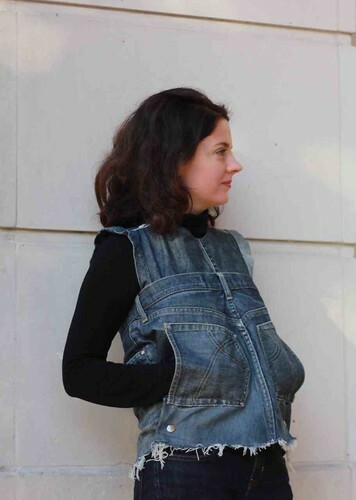 I wanted to avoid the pregnant lady look so I created folds at the edge of the pockets, and closed them with press buttons. 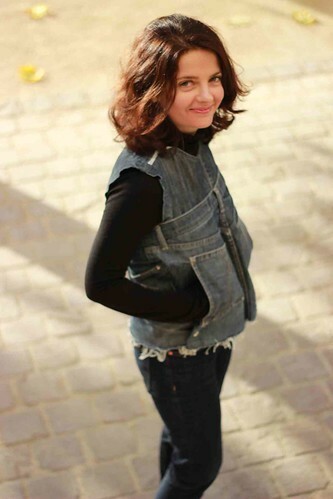 And here I am, dressed in my recycled jeans top that reveals its original form only when I turn my back and let the fly front appear. A good reason to smile in this sunny and warm December day. 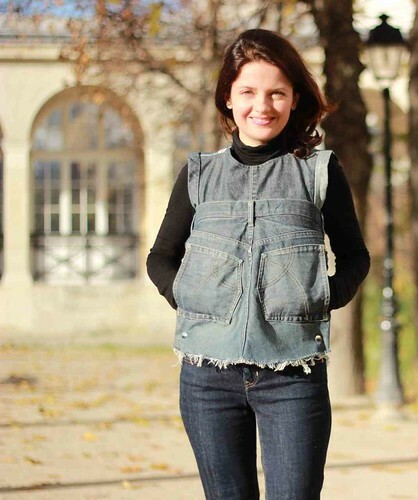 So, is anyone here still thinking that jeans are good for trash? 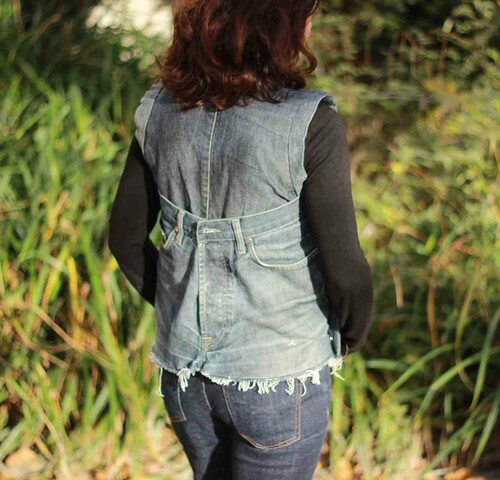 This entry was posted in Re-fashion and tagged jeans, upcycling. This is unexpectedly cool! 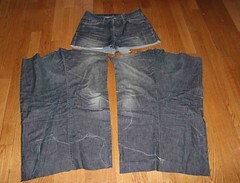 I see some possibilities for a pair of my old jeans! Pinning this right now. Thank you! Thank you. I’m glad to be on your December refashions list! A Happy New Year too!